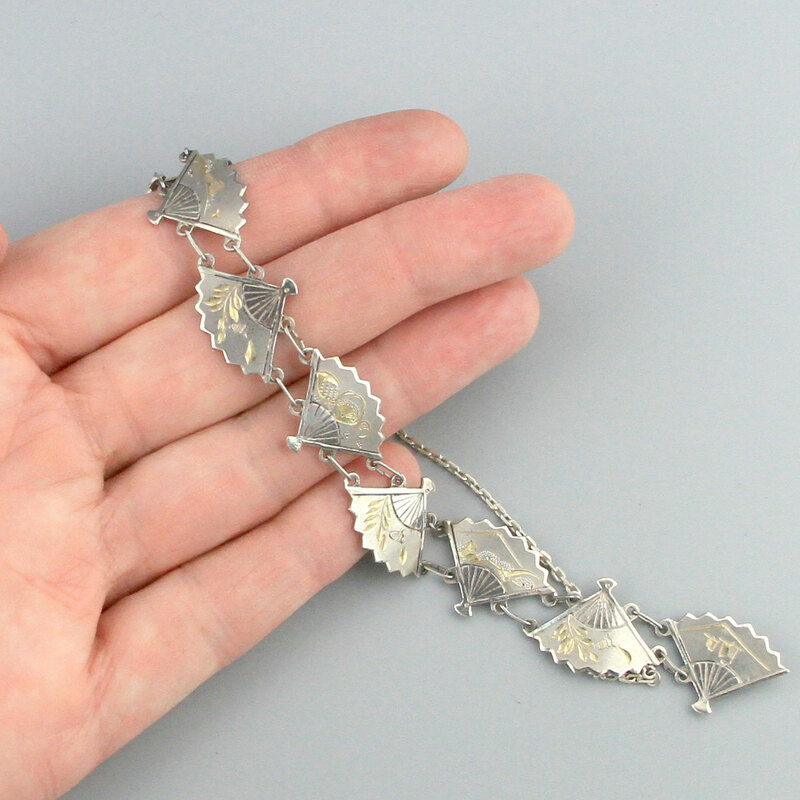 Lovely sterling silver, mid century vintage bracelet, made circa 40's - 50's. 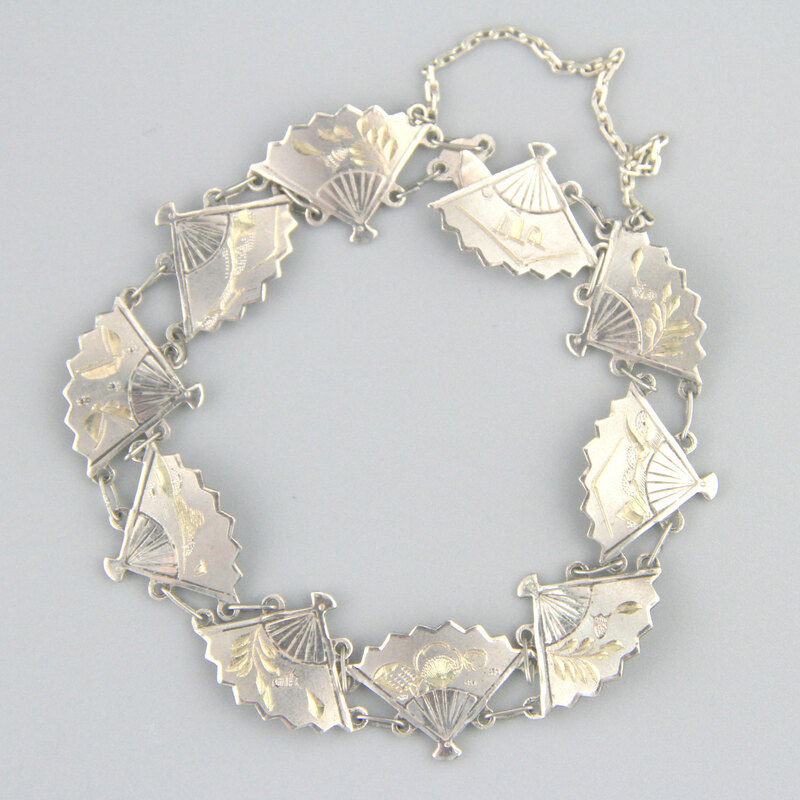 Ten links made from etched silver fans, each with different scene and gold filled. Secure tab clasp and safety chain. Would make a lovely gift. Spectacular vintage condition, mild wear commensurate with age, no dings or chips, will come with some patina, as level of polish is a matter of taste. 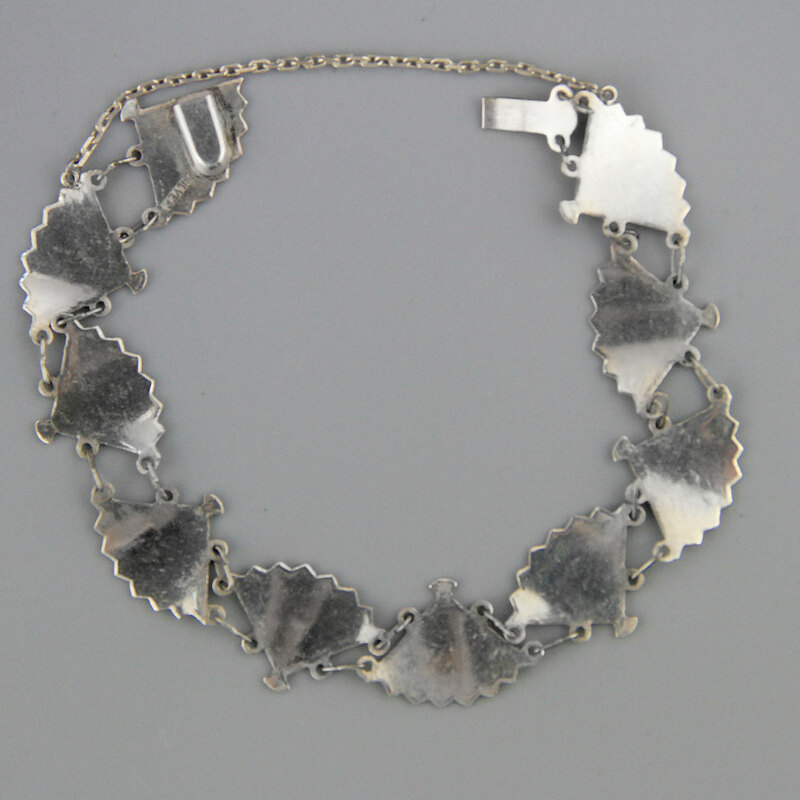 Has a handcrafted look to it - amazing vintage piece.